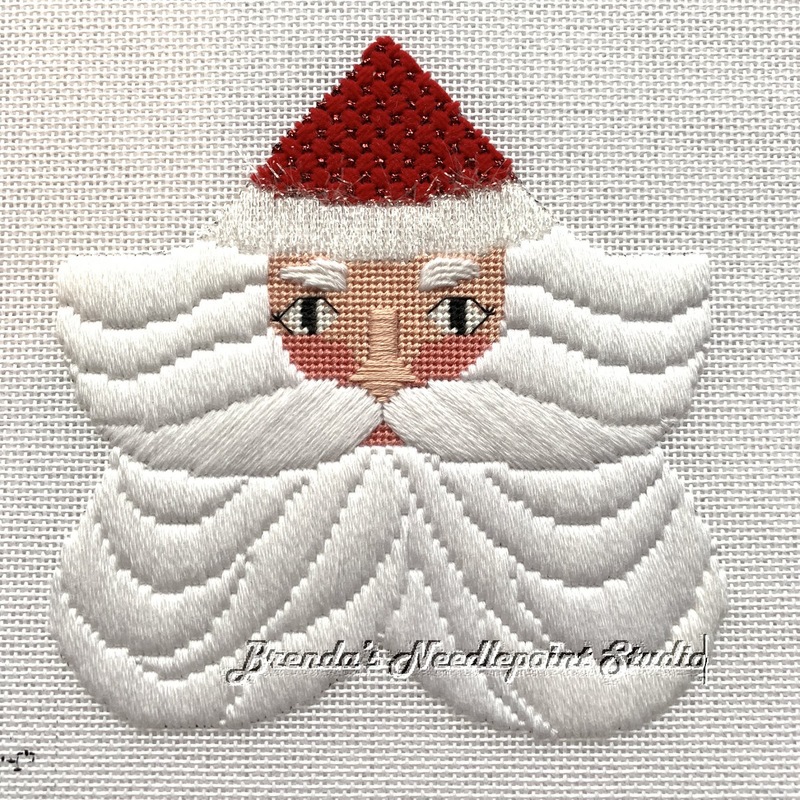 January 9, 2019--Here's another Janet Zickler Casey Santa--Twinkle, Twinkle Little Star, for which the stitching is complete--my first for 2019. 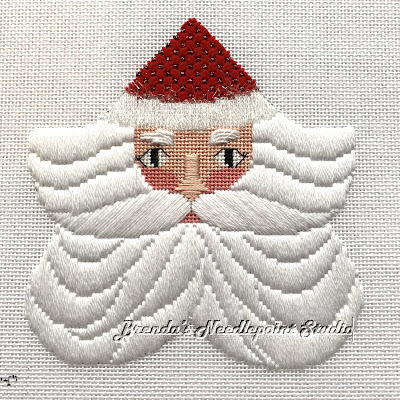 This is the eighth of Janet's santas I've stitched so far. The copyright date on the instructions is 1999, so I believe this is the first santa out of 23 designed to date. The only change I made was to use one less layer of stitching on the beard (instructions called for three--I stitched two) because I believe the replacement thread to RG/Designer's Dream white (now discontinued), Bella Lusso white, is just a bit loftier, so you can use less (hope this makes sense). PS: I kept the eyebrows different since most people have slight differences in their brows from one to the other. Don't know why the threads on the nose look like they aren't laid smoothly in the picture--looks much better in person.